Just who is this blue monster named “Troggg”? 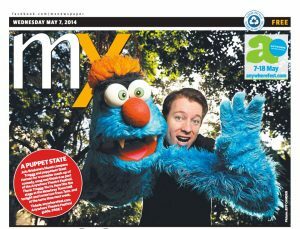 One could be forgiven for thinking that Cookie Monster or Grover has come to visit various events around Queensland lately. From charity events like Project Pink and The Brisbane Zombie Walk, to childcare centres, parties, the Supanova Pop Culture Expo, festivals like Woodford Folk Festival, Cooroy Fusion Festival, and comedy shows in theatres – particularly “Show Of Hands” at the 2018 Anywhere Theatre Festival. Troggg’s even been to the USA and met Steve Whitmire (former puppeteer of Kermit the Frog) and Marty Robinson (puppeteer of Telly Monster and Mr. Snuffleupagus). He also performed at the Puppetry Arts Festival of Brooklyn. 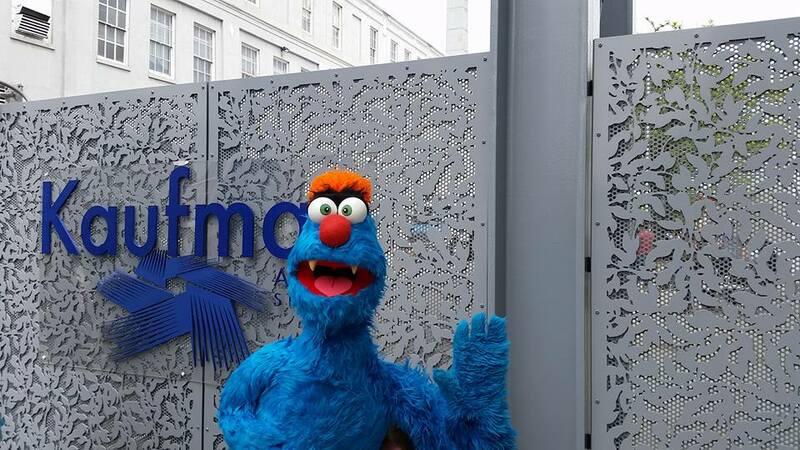 So who is this big blue monster? What’s his deal? Well, his name is “Troggg” – Rhymes with ‘log’ or ‘fog’, and is spelt with three Gs (the middle G is silent). 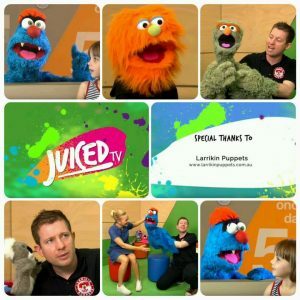 A creation of Brett Hansen, founder of and principal puppeteer at Brisbane-based entertainment company, “Larrikin Puppets”, Troggg is the main star of a cast of fuzzy puppet friends who have been bringing joy to people of all ages around Queensland at events big and small. 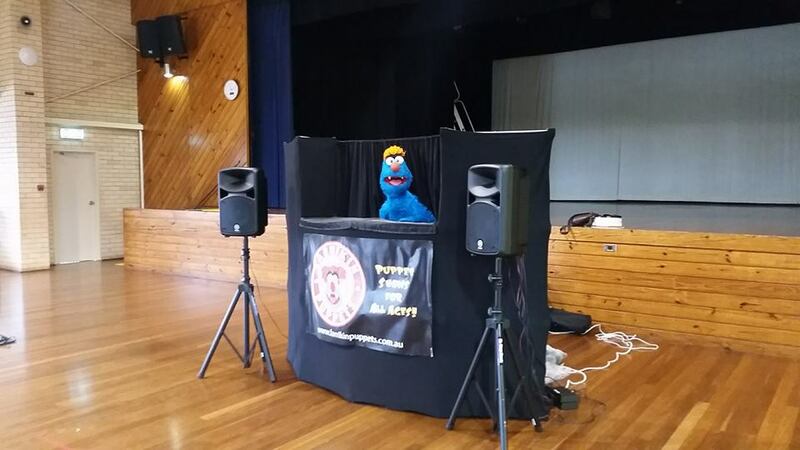 Troggg has not only appeared on stage (performing puppet shows and MC duties) at various events and parties, but also as a wandering, roving character, meeting with children and adults, and posing for photos with them. You may have seen Troggg pop up in your Facebook, Twitter or Instagram feed now and again, smiling in “selfies” with your friends. 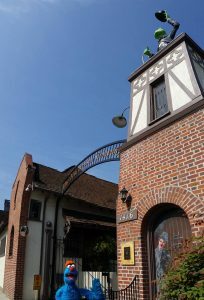 Troggg at The Jim Henson Company in Hollywood, USA. He’s appeared a few times on community TV station 31 Digital (formerly Briz 31), had a role in a short film (Heart of a Thousand Souls). He has featured on Network Ten’s Totally Wild, and appeared in two episodes of kids’ television show Juiced TV (including as host of one episode). He’s appeared in puppet web series’ such as The Hobble and Snitch Show (Brisbane), The Fuzzy Beard Show (New York) and Sam The Ham (Los Angeles). He’s chatted with Hollywood stars Stanley & Jax (from The Ultimate Nerd-Ament) and Toiley T. Paper. He’s discussed the word of the day with New York star Mo Monster (The Mo Show), and appeared on the front cover of many newspapers! 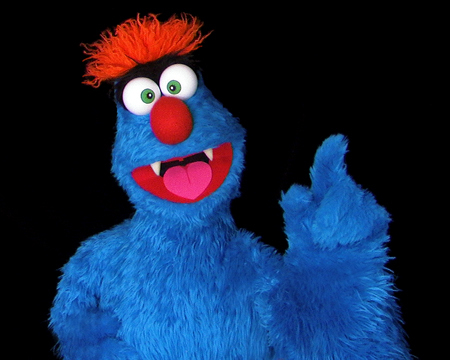 The character was designed by Brett Hansen, but constructed in the USA by a professional puppet builder named Mike Lisa from Creature Clones, who has previously worked on Sesame Street and other Muppet productions. So, while most Larrikin Puppets characters are inspired by the look and feel of Jim Henson’s Muppet creations, Troggg is about as close to a genuine Muppet as we’re likely to see here in little old Queensland, Australia. We like to bring the same kind of puppet joy and magic to Queensland residents and festival goers that folks in New York and Los Angeles take for granted. 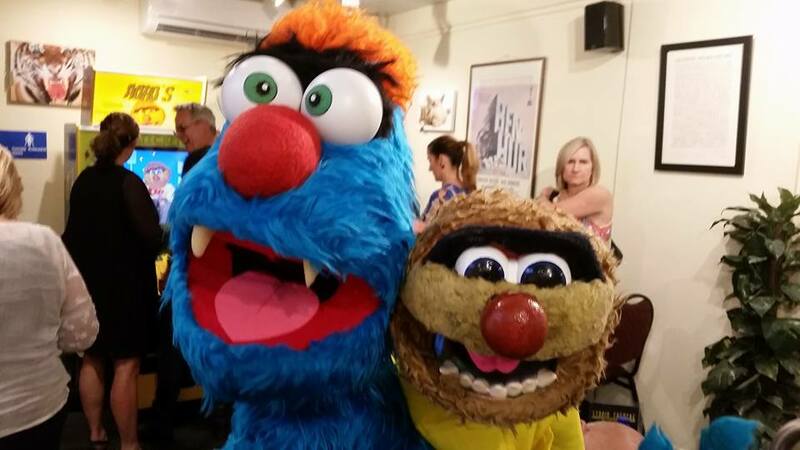 Troggg is fast becoming a local celebrity, much like Australian puppet megastar Agro was in the 1980s and 1990s. “Agro is actually a hero of mine!”, says Troggg. “I’ve even met him a couple of times!”. Troggg with puppet TV star Agro. Troggg at Kaufman Astoria Studios (NYC), where Sesame Street is filmed.